We believe these were used in military aircraft but have no detailed specs. Made by Rock Island Arsenal and distributed by Lockheed Martin. The NSN number is 6650-01-170-8640 and we have found that the government originally paid $5000-$7000 each for these units. The Rock Island part number is 13074135. 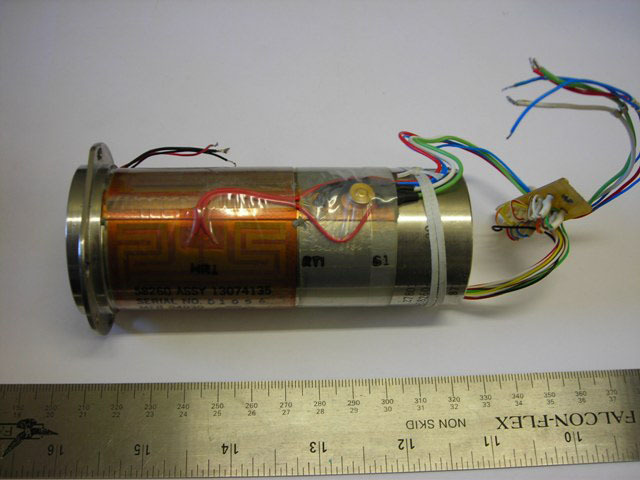 This unit appears to consist of a 1" diameter imaging sensor, a vidicon tube, a Minco heater (that surrounds half of the unit, and various wires for connection. The entire unit is 4 3/8" long and has a diameter of 1 5/8". 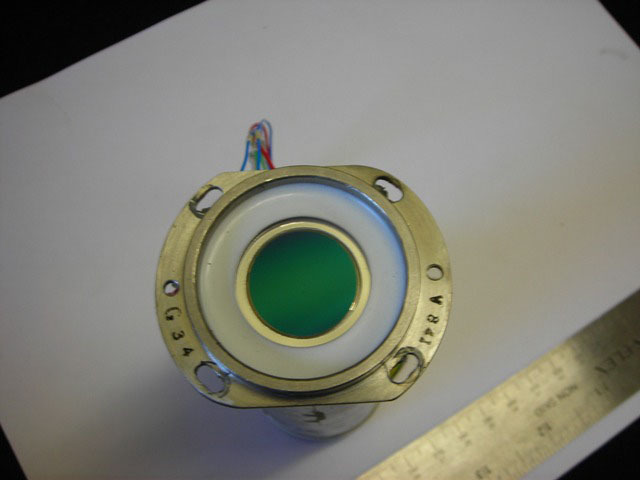 The mounting flange is 2-1/4" x 1-7/8". 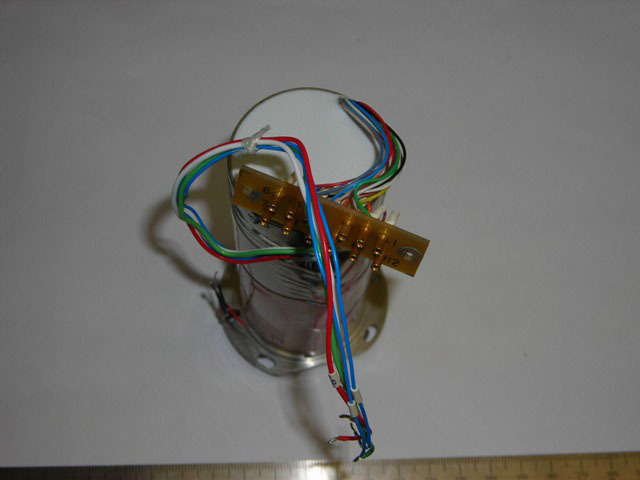 Next to the sensor are 3 wires (one red, two black) that extend 1-1/4" long). From the middle of the unit there are 5 wires (two blue, one white, one green, and one red) that extend 8" long. On the back of the unit there are 12 wires that group into a 12 pin connector. These appear to be unused but have no idea what their actual usage entailed. Closing out at less than half our incredible regular low price.